Dr. Angham (Ann) Abdulla is a trusted dentist in Orange County who excels in the diagnosis and treatment of temporomandibular joint (TMJ) disorders or TMD. While there are some health professionals who may recommend highly invasive and costly treatments for TMJ pain relief, such as whole-mouth reconstruction, Dr. Abdulla focuses on effective, non-surgical solutions that acknowledge the strong connection between the mind and body. 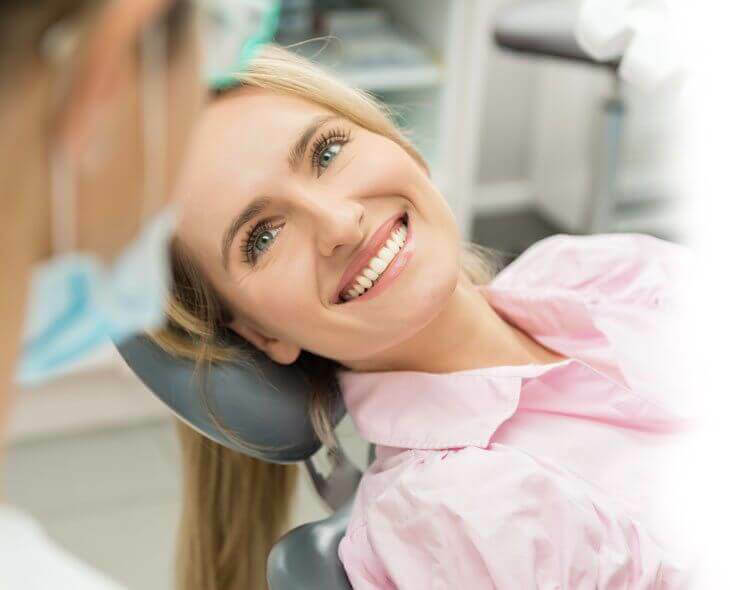 By taking a holistic approach to patient care, she is able to identify and address the underlying cause of a patient's TMD. Her personalized treatment plans help patients get complete relief from TMJ-related pain and gives them the tools they need to prevent their TMJ disorder from coming back. The temporomandibular joint is a complex structure of muscles, discs, and bones that works like a sliding hinge to allow the jaw to open and close smoothly. When damaged or injured, an individual can develop a temporomandibular disorder, resulting in popping or clicking sounds in the jaw, pain or ringing in the ears, difficulty when chewing, and/or a variety of other symptoms. TMD can also be caused by chronic stress that manifests itself by bruxism – the grinding or clenching of teeth, or chronic tension held in facial/jaw muscles. To determine if your symptoms are related to a TMJ disorder, come in and see Dr. Abdulla for a diagnosis. Dr. Abdulla is a Board Certified Dentist with more than 25 years of dentistry experience. She specializes in Dental Sleep Medicine, and is qualified to use oral appliance therapy to treat sleep apnea. Because many patients with sleep apnea also suffer from TMD, she decided to complete a TMJ and Orofacial Pain Mini-Residency at the UCLA School of Dentistry to become an expert in TMJ disorders and treatment. Today, Dr. Abdulla is one of the few dentists in Orange County who has received advanced training in treating TMJ issues using non-surgical techniques. By using their recommended techniques, she has achieved a great success rate in helping her patients with diagnosed TMJ disorders become pain free. Call to schedule a complimentary consultation with Dr. Abdulla to determine the cause of your TMJ/TMD pain. Her treatments are personalized for each patient and involve weekly therapy sessions. Many patients report immediate improvement after each session and are typically pain-free after 5-8 weeks. TMJ treatment costs are affordably priced, can be covered by most PPO insurance plans, and qualify for CareCredit financing.